Single lockable door with 15 internal compartments. 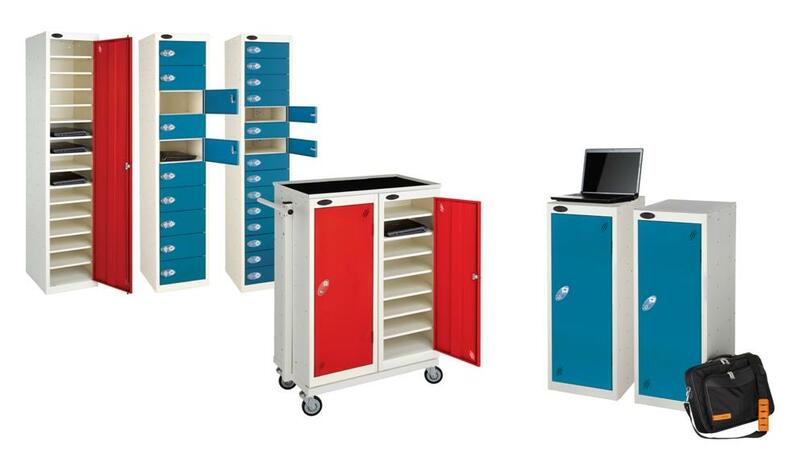 Probe offer a comprehensive range of media tower lockers for a variety of smart devices. You can choose from powered or non-powered, mobile or static, there’s a media tower to suit your needs. 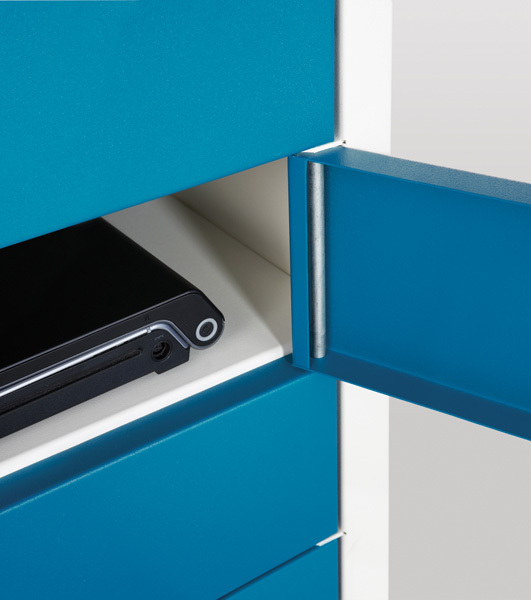 This range incorporates Activecoat, the world class anti-bacterial powder coating from Probe. Safe location of power socket. Comprehensive range of sizes and styles available. All charging units are CE marked. All doors are secured to the frame by a solid hinge. Units are manufactured form sturdy 0.9 and 0.7mm steel. 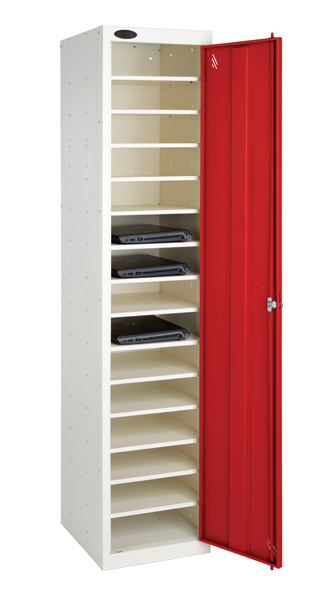 All compartments have scratch resistant lock covers with the facility to number each door to help identification. A wide variety of locking solutions is available. Each charging compartment has a rear perforated panel for heat dissipation.